I would love to get rid of the ugly Ad Sense banner ads on top of my blog and replace it with something actually pertinent to our interests. So do you own a scooter shop? Have something you’d like to advertise? Then let me know. Send me an idea and I can send you a quote for how much it would cost. 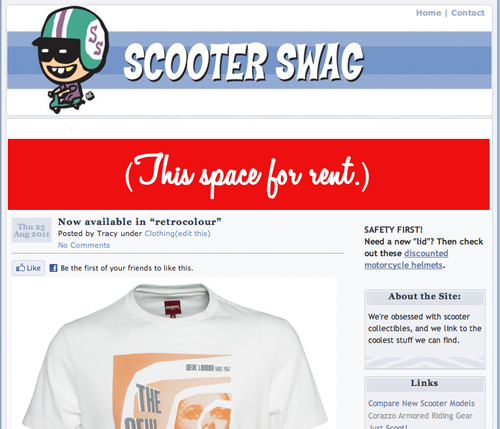 (E-mail me at tips AT scooterswag.com) I can even help you write and design a banner ad for your company. I have Google Analytics reports I can forward on but just as a ballpark figure, ScooterSwag has over 1,000 unique visitors per week ! A $25 gas gift card, Larry Crowne T-shirt (which is a very cool silhouette of a P200 by the way) & a notebook. If you live in the States and want to see the film then be the first to e-mail me your mailing address at tips (at) scooterswag.com and you’ll be the winner! 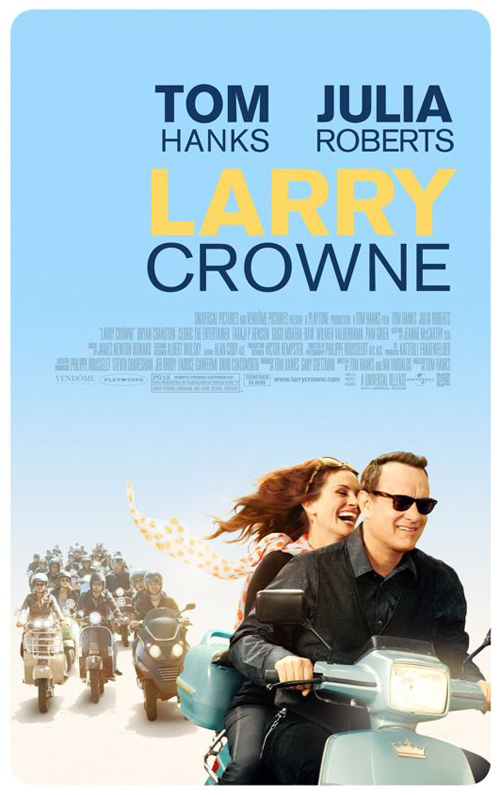 The movie opens today (July 1) and rumor has it whoever wrote the script for this movie must of hung out with the real scooter crowd in LA as the characters go to some of the very same places and go on the same rides. And we have a winner! Karen J. in Maryland sent me an e-mail at 1:14 pm today. Congrats Karen! "Retro Cool Meets Minty Cool." 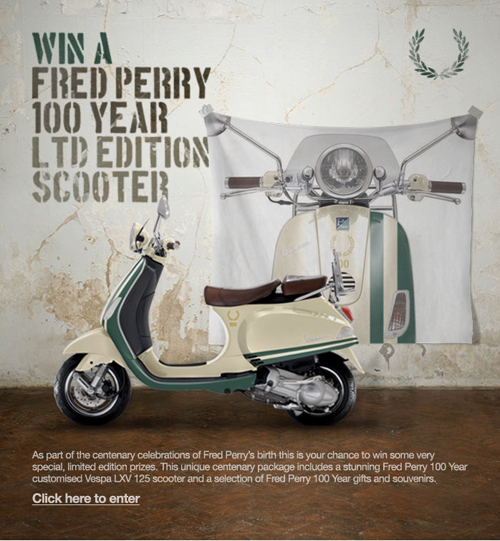 Win a Scooter from Ralph! 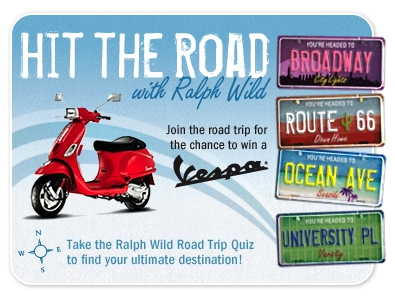 As part of a promotion to launch a new perfume called “Ralph Wild”, Ralph Lauren has a contest going on in which the prize is a brand spanking new red 2008 Vespa S.
On the Ralph Wild Facebook page, there’s a road trip quiz application which will enter you in the contest to win the Vespa. And actually, according to my calculations the odds of winning are still pretty good with only a few days left to enter — the contest ends this Sunday, 3/30.